Variety: Moraiolo (60%), Leccino and Frantoio. 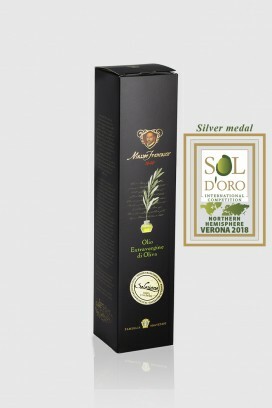 The harvest for the production of EVOO "Gran Tradizione" begins around the middle of November, when the olives are more mature than those used for EVOO “Messer Francesco 1640” . 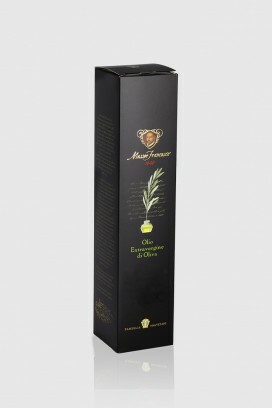 The olives are cold pressed at a temperature of 25-26 °C. 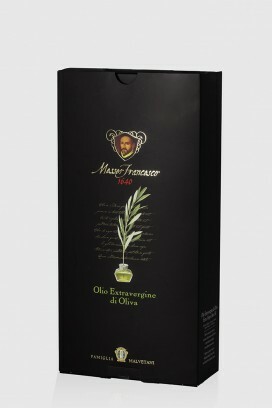 The oil has a mild fruity flavor, with bitter and spicy notes but lighter if compared with those of Messer Francesco 1640. 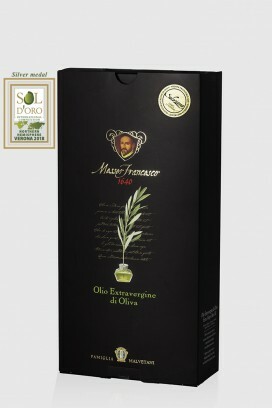 This EVOO is excellent for daily consumption, it can be used both cold and for cooking. Visual features: green-yellow, clear for filtration, high fluidity..
Scents: fruity with scent of vegetable aromas, particularly green almond. Flavors: green almond with taste of leafy vegetables. Mild spicy, harmonious, pleasing to the palate and surprisingly complete.